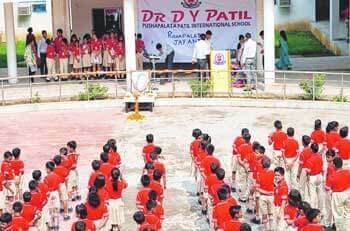 Dr D Y Patil Pushapalata Patil International School is a social endeavour of Mathuram Swasthya Evam Shikshan Sansthan, registered under Companies Act , 1956. Mr. Prem Ranjan Kumar & Mr. Ram Chandra Bharti conceived an ambition to open a fully Air-Conditioned School of International Standards in their hometown Patna. This vision and ambition has been transformed into a grand reality now with the patronage & guidance of Dr. D. Y. Patil, a great educationist and philanthropist of India.